← How Many Miles to the Goal? When people tell me they definitely do not want to cruise I wonder if they have an outmoded or stereotyped view of what a cruise is. Do they have any idea how varied cruises actually are, and what a varied mix of people find cruising to be their perfect vacation? Certainly there are some unattractive images of cruising out there, but the truth of what is available for the discerning traveler is much more enticing than those stereotypes allow. Cruise lines are not the same. 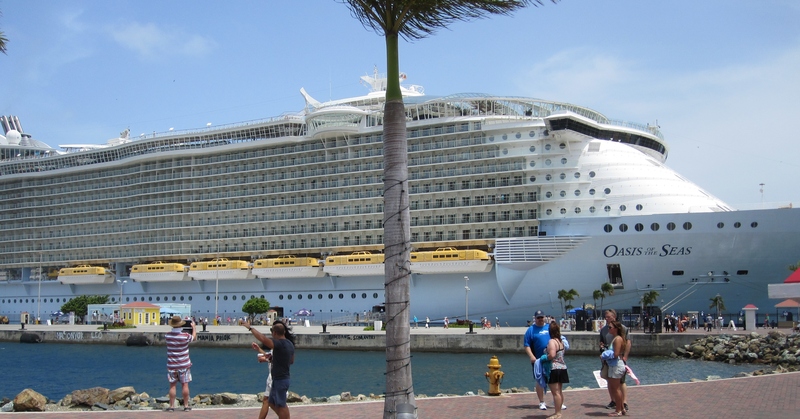 Most cruise lines are best suited for particular range of clients. And within your ‘best fit’ cruise line, some itineraries would suit your interests better than others. An experienced cruise counselor (such as myself!) can help you find your perfect cruise. Do you want to be away from children, or have quite a few around? Some cruise lines are “adults only” by default if not by design. Then there are lines whose strength is that they have plenty to do for children as well as adults. If you are bringing children yourself, of course it will be smart to go where there will be other kids – and a program to entertain them. This will please both adults and children. If you would rather travel with full-grown people, pick an appropriate cruise line. 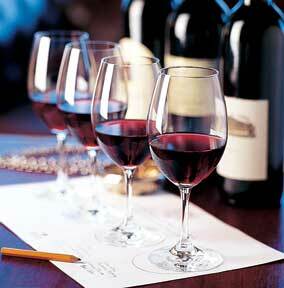 Wine tasting is a popular combination of education and entertainment on cruises. Do you want luxury indulgences or a more modest shipboard lifestyle? Seabourn cruises used to serve complimentary champagne and caviar at every turn; the recent crisis in caviar (yes, there is one) has put a dent in that but I expect they still offer all the champagne you could want. Most other cruise lines charge for all wine and cocktail purchases. The “revenue model” for alcohol is just one consideration for how pampered you want to feel. Truly there are times when you want to indulge “guilty pleasures,” but you might prefer to allocate your money otherwise. This should figure in your cruise line selection. What sort of companions would you prefer? The price range is just one factor behind which sifts guests into demographic groups. My own non-scientific data colleced on twenty cruises has tweaked my assessments of Typical Guests on XYZ cruise line in other ways as well. Think about who you want to ride with as this can make the difference between charming encounters and chats you are happy to get away from. How casual or formal do you want your experience to be? Dress codes and flexibility around dining have changed greatly in the last ten years. There are cruise lines which welcome casual dress any time, and those which encourage you to dress up a few times during your cruise. Which is more comfortable for you? Size makes a difference. Mega ships (5000 passengers) offer options in entertainment and dining which the smaller ships cannot. The smallest ships (up to 750 passengers) offer a coziness and itinerary flexibility which is impossible on the largest ships. Mid-size ships combine some factors from each type. Newer ships offer the latest and greatest amenities in spa, comfort, and entertainment – but often have the least interesting itineraries. These are great for cruise enthusiasts who are looking forward to their time on the ship. Older ships make up for their relative lack of glitz with more interesting itineraries. Are you traveling with children? Alaska and the Caribbean are great for families for the wildlife and beach activities they offer. More culturally challenging destinations (such as the Far East) are better saved for the years when older children can appreciate all that they are experiencing. Which ports do you want to visit, and how much time do you want to spend there? Some cruise lines focus on spending more time in each port, staying late into the night or even spending multiple days in one location. This improves on the typical ‘quick visit’ experience which most itineraries allow. On the other hand if you just want to spend your time enjoying the ship, you should look for a plan with more time at sea. 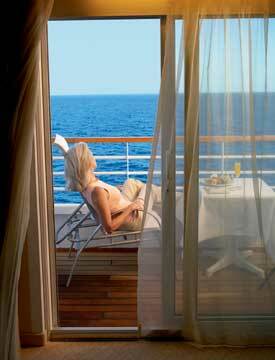 Having the perfect personal space is of primary importance in the perfect cruise. Some clients say “We don’t plan to spend that much time in our cabin” and then choose the smallest, least expensive cabin with no windows. I am tempted to say “But if you chose a nicer cabin you would ENJOY being there.” My preference is for a cabin with a balcony, but I would be happy to move up to a balcony suite someday! I love the additional space and airy feeling which the larger windows allow. Breakfast on the balcony is one of my favorite indulgences. Finer points will come into your final consideration also but these are important beginnings. Your friends with tastes similar to your own can give you valuable help too. I think cruising is one wonderful way to travel with convenience and comfort. I would be happy to guide you in your next selection! This entry was posted in Travel, Uncategorized and tagged balcony, cabins, children, cruise, itinerary, luxury, ship, travel. Bookmark the permalink. Hello – I agree with you. It really depends on what you want. And you know, life’s what you make it! I have been on a few cruises to New Zealand and the South Pacific and enjoyed myself each time. I also agree that a balcony is great, somewhere to sit and watch the ocean go by and relax. But a deck chair in the sunshine up top is also great. Thanks for the post. Other considerations are still bubbling up after this post — but I don’t want to go on forever! Thanks for writing.